The Department of Water and Power is proposing to raise our water and power rates by about 30% over the next five years. The $1.4 billion in new revenue will be used to improve the Water System’s infrastructure and water quality and to fund the Power System’s energy efficiency program and the State mandated transition to renewable energy. On Wednesday, October 14, the Greater Wilshire Neighborhood Council will sponsor a 30 minute, moderated discussion with our Department of Water and Power to discuss the proposed rate increase. The GWNC is asking the public to review the presentation online prior to the meeting and submit questions on the presentation to be asked at the meeting by Monday, October 12, 2015, at 5:00 p.m. Please submit questions to ladwppresentation@greaterwilshire.org. 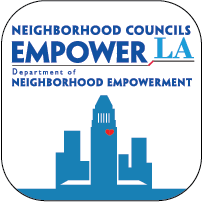 The Greater Wilshire Neighborhood Council will be at the Ebell of Los Angeles, 743 S. Lucerne Blvd., Los Angeles, CA 90005, beginning at 7:00 p.m. on Wednesday, October 14.